As the national leader in military family transition services, Project Sanctuary recognizes that the whole family serves, and believes the best way to “support the troops” is by supporting the family. Project Sanctuary works with current and prior Service Members and their Families through our exclusive, three-part A.R.T. 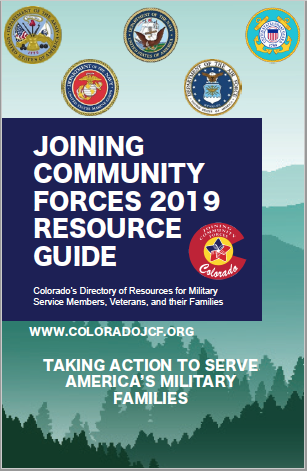 (Assess, Reconnect, Thrive) program, combining counseling, education, self-development, and recreational therapy to help take military families from battle ready to family ready. Eligibility: Current or prior military service families (includes single Service Members and caregivers). PTSD Foundation of America is a non-profit organization dedicated to mentoring to our combat veterans and their families with post traumatic stress. Many warriors are coming home with visible wounds; countless others are coming home with scars we cannot see, wounded souls from witnessing the horrors of war over and over again – PTSD. We feel it is our duty as Americans to help these mighty warriors and their families adjust and find their new normal (utilizing peer-based mentoring – one on one or group). River Deep offers outings – fishing, archery, hunting, photography, boating, camping and similar events for wounded Vets and Families. Eligibility: Wounded Vets both active duty and separated. Survivor Outreach Services (SOS) connects you with people and services that can help you cope with your loss and file for benefits. Eligibility: Supports Active, National Guard, and Reserve Families of the Fallen. The purpose of the Transition Assistance Advisor (TAA) program is to provide a professional in each state/territory (some states have two TAAs) to serve as the statewide point of contact to assist Service Members in accessing Department of Veterans Affairs Health Care services and benefits. Eligibility: Must have served (or be currently serving) in the military, does not matter if Active duty or Guard/Reserve, and does not matter status. Will assist any Family members of Service Members. USO Pathfinder (transition services) helps Veterans and their Families create a plan for life after Military service. Connect with a Pathfinder Scout to develop a personalized Action Plan and discover the resources in your future community that will make your transition successful. Take this action plan and connect with a Pathfinder Scout anywhere using the USO’s mobile Action Plan app. Seamlessly transfer this action plan as you transition from one location to another. Eligibility: Service and Family members and Veterans. Wounded Warrior Project provides free programs and services to address the needs of wounded warriors and fill gaps in government care. The demand for WWP programs and services has grown from serving a handful of injured veterans to now serving tens of thousands. Eligibility: Wounded Warrior Project serves Veterans and Service Members honorably discharged who incurred a physical or mental injury, illness, or wound, co-incident to their military service on or after September 11, 2001 and their families.